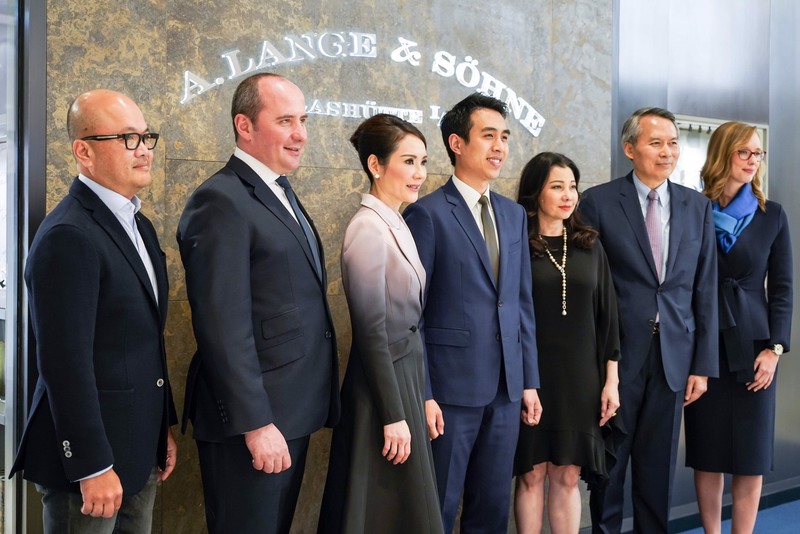 Just after the SIHH 2019 has ended, A. Lange & Söhne; in partnership with Pendulum, has opened its first ever boutique in Thailand and LWQP team was fortunate enough to be invited as witnesses for the grand opening on April 2019. 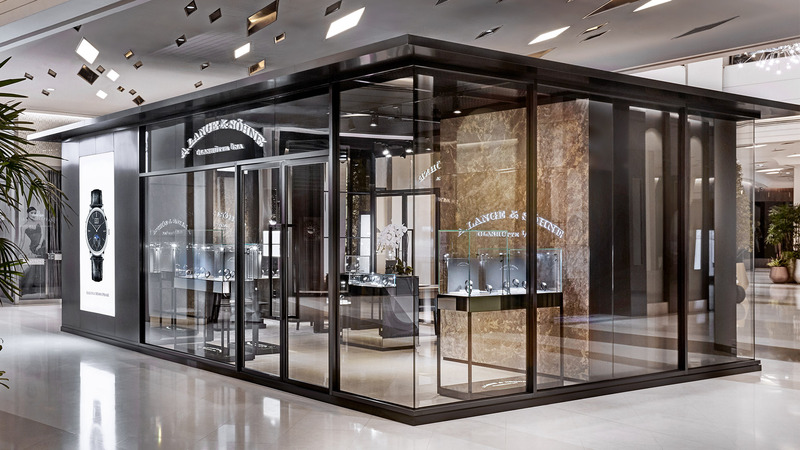 The boutique is located on the main floor of Siam Paragon, one of Bangkok’s most renowned shopping attraction. Together with their architects, the new glass reinforced structured 50 square metres boutique was designed in accordance with the Bauhaus Design Principal; where Forms follow Function. Uniting fine craftmanship together with the new technology and materials, reflecting the unvarnished identity of A. Lange & Söhne. 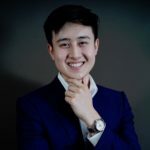 Mr. Alexis De Laporte, International Director of A. Lange & Söhne, explained that one significant charm that elevate the watch collecting experience is knowing the brand’s history. With the concept in mind, the interior of the boutique is designed to reflects the brands heritage, representing each milestone and their story of craftmanship. The Experience Library are heartily welcome for all visitors to learn more about the brand and their history. In celebration of the grand opening, the main theme of the event featured the ‘25th Anniversary’ of the brand’s most iconic watch “A. 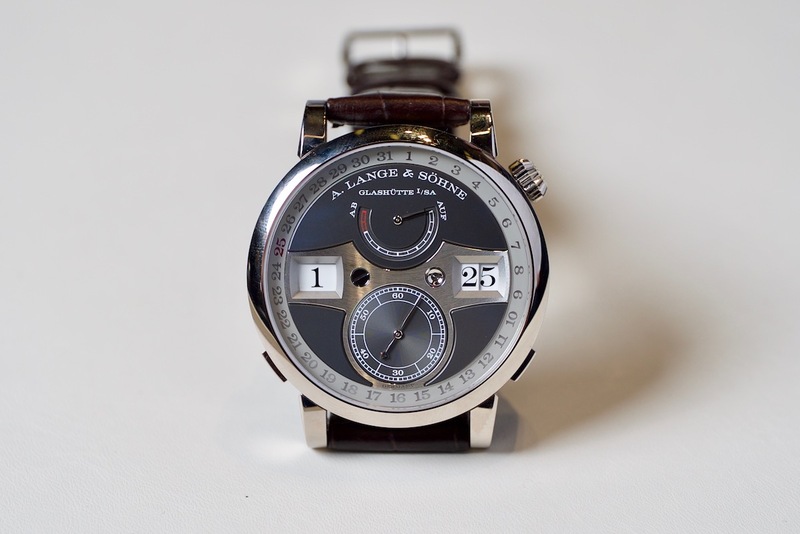 Lange & Söhne Lange 1”. The venue is decorated in blue corresponding to the blued steel hands and accents on the watch itself. Live music, champagne, and caviar were served during the event, what’s more could we ask for? The watches, of course! 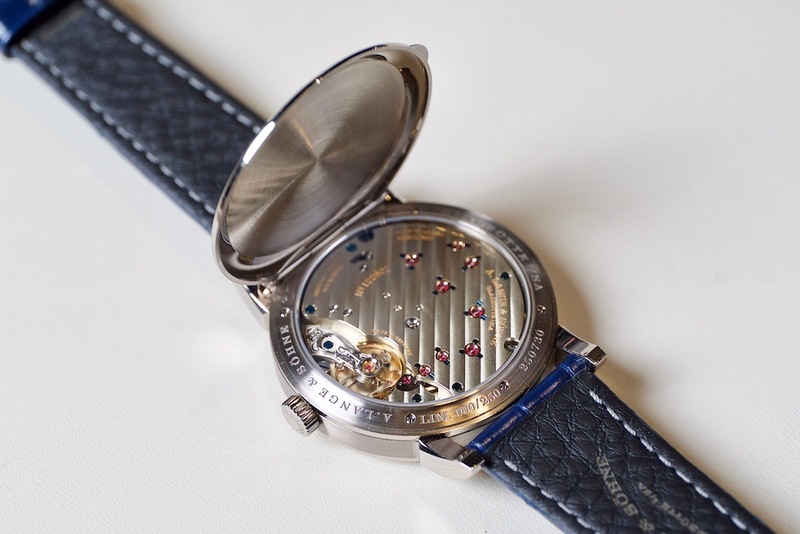 The watches were carried around gently on the watch tray accompanied by the boutique’s sale giving the explanation behind the design of the watch and its mechanism. 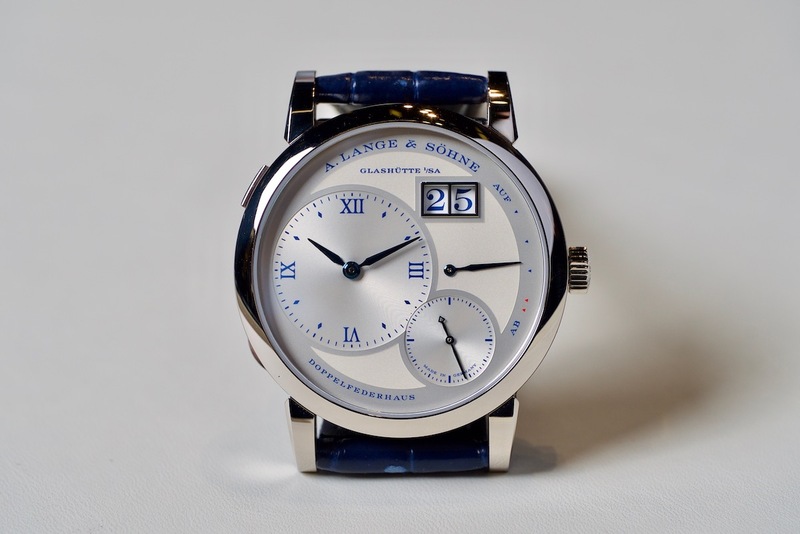 Featuring as the main star of the event, unarguably the Lange 1 ‘25th Anniversary’ received the most attention by all guests. The watch featured an exclusive hunter caseback, able to represent both the relief engraving and the eye-catching open back mechanism. 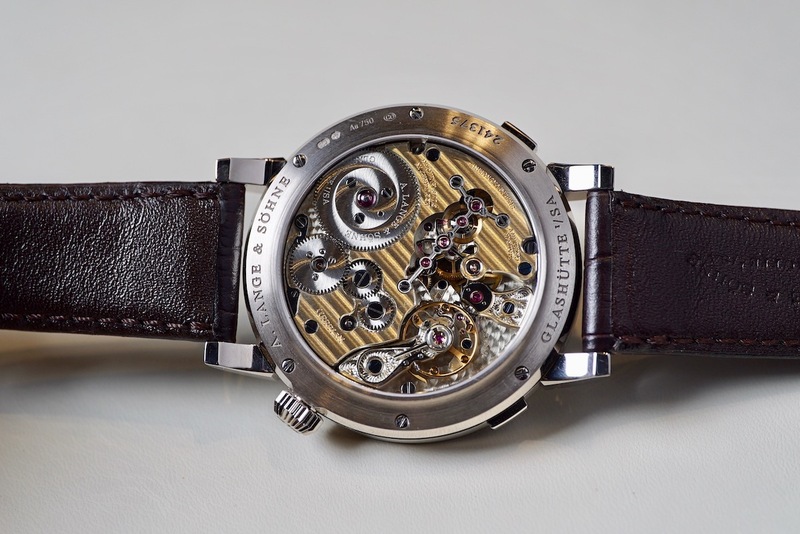 Not only the Lange 1 was representing at the event, the Zeitwerk Date; which is recently launched at SIHH 2019 with the new mechanism, was featuring at the event as well. Guests were especially attracted to the new date function, which is smartly displayed in red coloured around the circumferences of the dial, being able to change the date and hour easily with just a smooth push at the button located at 4 and 8 o’clock. We find ourselves spending half of the event enjoyed talking about watches like there is no tomorrow! 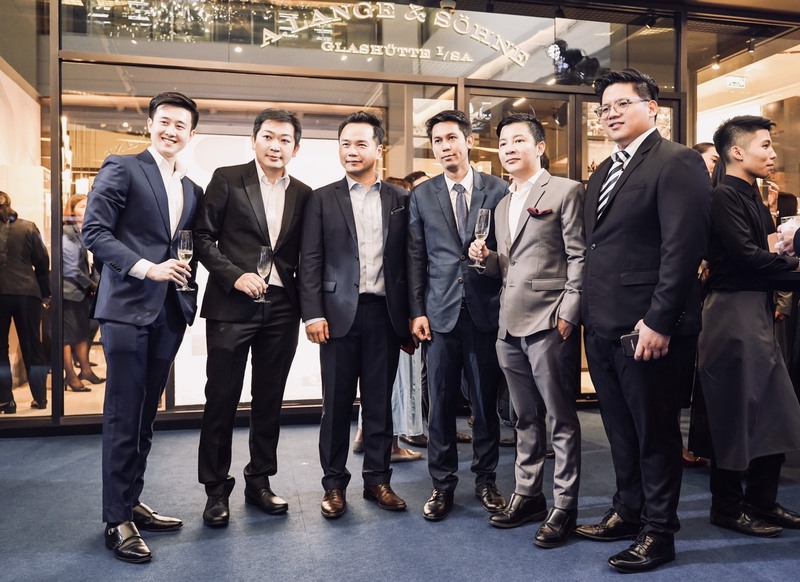 Last but not least, sincerest congratulation to both A. Lange & Söhne and Pendulum on launching the new boutique, it was our pleasure to be there. Thank you for the unforgettable memories.